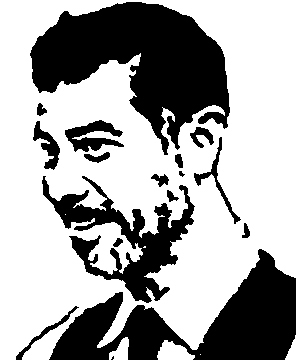 Thanks to I was able to save myself a whole lot of time and energy making the silhouette cutouts necessarily to perform Oz Pearlman's, "21st Century Phantom". If you perform this amazing effect, you know that it's a LOT of painstaking work to make them. Propdog (www.propdog.co.uk) has made our lives easier by creating precut, mixed packs of these celebrity cutouts. I have attached some pictures for you to look at. They are very well done, but I would add that there are one out of five or six that aren't completely cut out and will require some work on your part to finish the job. Some might find that a reason to complain. Maybe. But if you've ever sat down and tried to make one of these, you'll have gotten your money's worth by having Propdog do most of the work for you. If I were to guess why there is a lack of quality on some of these cutouts, it would be that they may be trying to stack too many cards together while applying the punch and so the blades aren't making their way through all the cards (see attached image). Thanks for the link. The only reason I don't do 21st Century Phantom is the prep work. It's too labor intensive for me. Problem solved. I just placed an order! Rudy, Thanks for the link. The only reason I don't do 21st Century Phantom is the prep work. It's too labor intensive for me. Problem solved. I just placed an order! Now anyone can do it!! 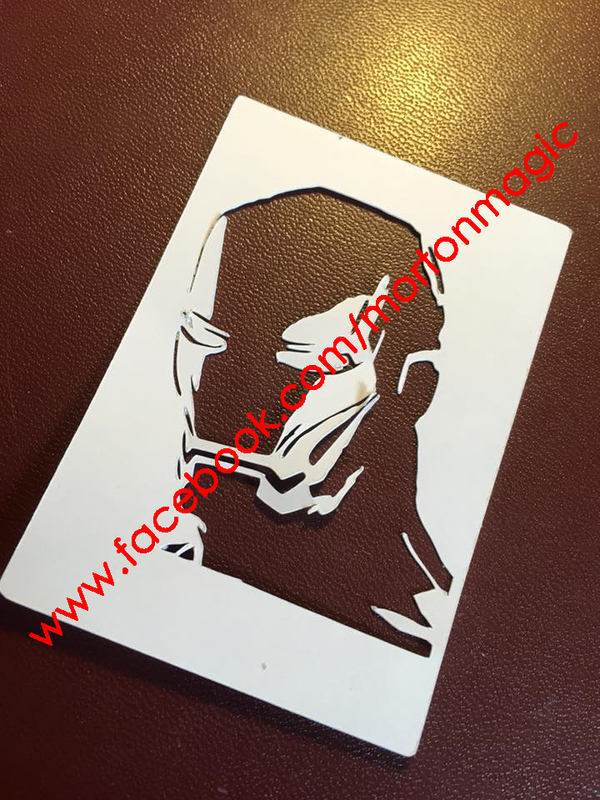 I create and sell phantom cut outs here in the UK including anyone you want from photos for more information and to see the ones I cut find me on face book https://www.facebook.com/mortonmagic and ask me to add you to my secret phantom group. To give you an idea of what I do please see below a few of the cuts I did before the Blackpool Convention 2015 hopefully you might recognise a few of your friends. Can I purchase that from you?